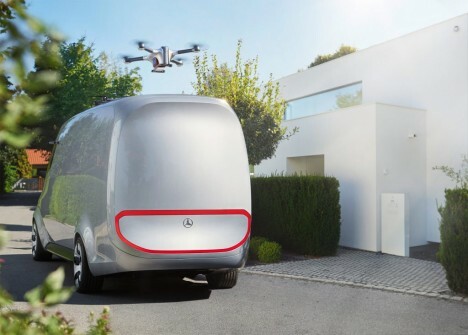 The Vision from Mercedes-Benz comes equipped with a set of detachable rooftop drones to make the last steps of a delivery smooth, reliable and efficient. 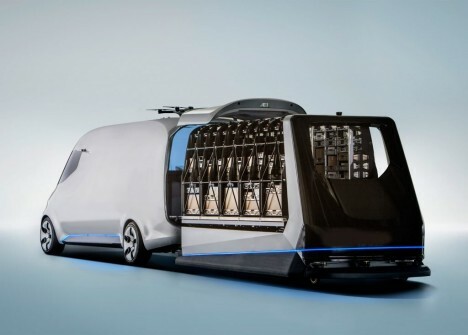 It works on both ends, too: the drones can load up the compact freight vehicle from a distribution center then detach and deliver goods at a destination. 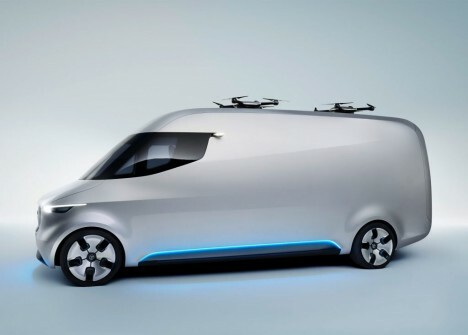 Packages can be taken out of the back or simply raised through a hatch in the roof and handed off to a waiting unmanned aerial vehicle. 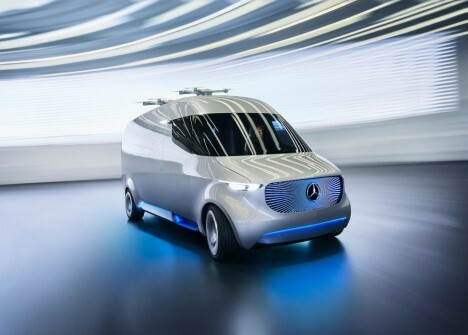 In a future where driverless vehicles are an impending reality, the design makes sense: it obviates the need for human intervention anywhere in the delivery cycle. 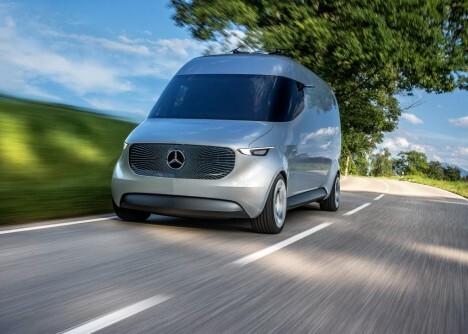 The deliveries would also be more predictable, which is helpful for waiting consumers, and easier in cities, where parking can be hard to find. See more in Cars & Trucks or under Transportation. September, 2016.